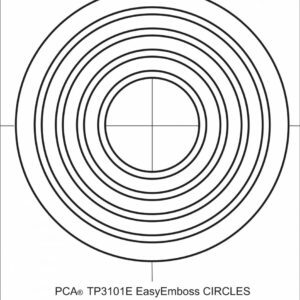 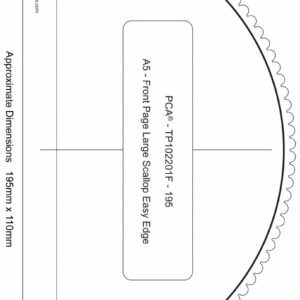 PCA® TP3448E EasyEmboss Corners – 4 Template, is the fourth in range of corner templates. 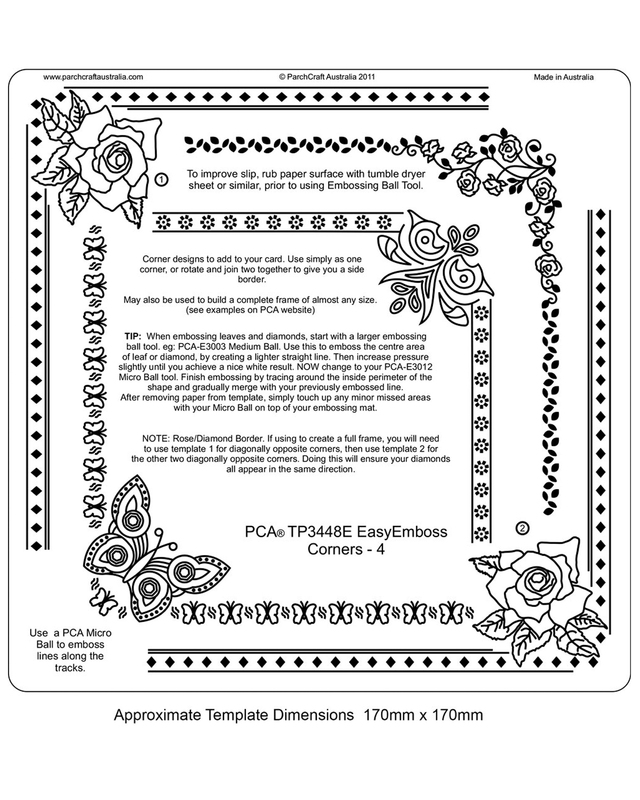 There are four different designs on the plate of corners and borders, which can be created up to almost any size. 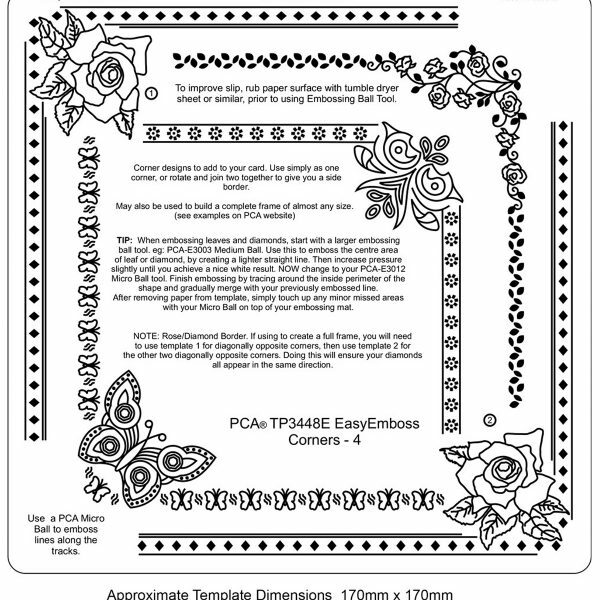 Just simply slide the parchment along the frame to create the size you require. 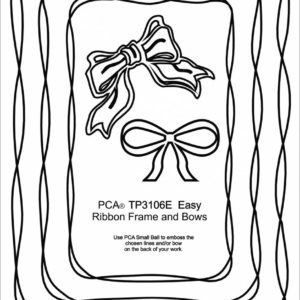 When embossing leaves and diamond shapes start with a PCA-E3003 Medium ball tool.